Bank of America was one of the largest banks that ever joined the Windows 10 push and back in 2016, the company launched its app in the Microsoft Store for phones and PCs to allow its customers access their accounts. 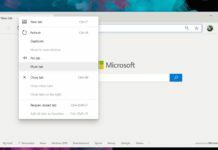 Last month BoA decided to abandon Windows 10 for some unknown reasons and as expected, the app is no longer available for download. 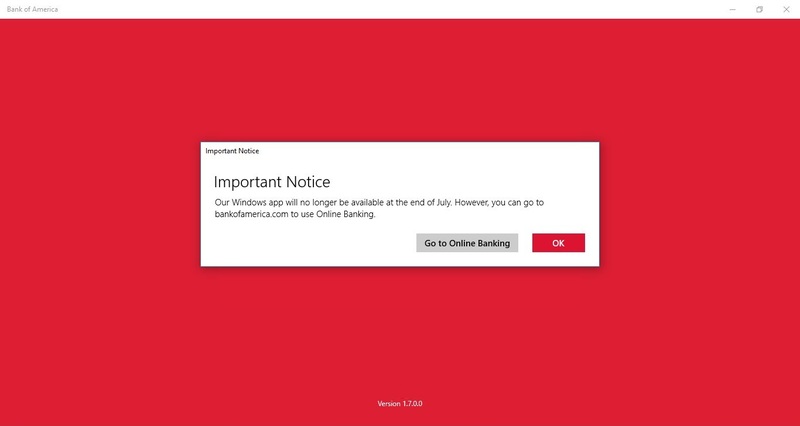 Bank of America earlier this week pulled its Windows 10 app from the Microsoft Store and the company is now recommending users to browse the website instead. “To provide the best experience we are focused on providing mobile banking apps for Android & iOS devices. You can access our mobile banking site by going to Bankofamerica.com on your supported Windows device,” Amer from Bank of America told us in a tweet. Bank of America believes that it’s better to focus all development efforts on Android and iOS. BoA leaving the Store is not a surprising decision as apps in the Microsoft Store have registered moderate success and developers are more interested in other platforms. 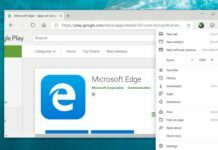 Microsoft is, however, betting big on Progressive Web Apps (PWAs) and mature PWA experience on a pocketable-cellular PC with telephony could soon become an appealing consumer category. PC users are gonna use the website. I suspect all banks will end up with PWAs. There isn’t a lot of reason to have a specific app and two factor authentication via a PC is as good as via a phone.